Applications throughout industry, as a means of inputting or outputting mains power to or from equipment. Produced by Cliff™ in the UK and Taiwan. IEC IECEE CB scheme approval for all EU countries. Many options of tags and mounting. Rated 10A (15A) 250V AC. 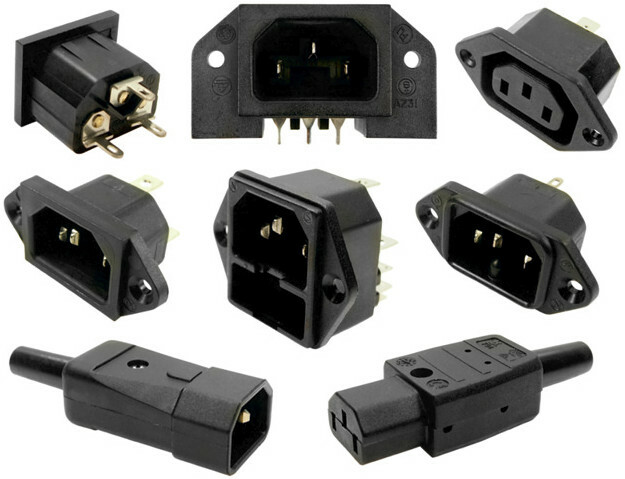 Moulded Molded cord sets with IEC socket available. Please note that we no longer maintain UL / CSA approval for UK made products, although all the materials are still UL approved. We may still have products in stock which were made under the UL / CSA regime and these will have UL marks. We can also offer alternative products with UL / CSA approval.